There are fees associated with paying your bill online. If you pay by ACH or e-check, there is a $1.05 convenience fee. If you pay by Visa debit card, there is a $3.95 convenience fee. The fee for all other debit and credit card payments will be approximately 2.95% of your total bill. No fees are collected by the Borough of Clementon. 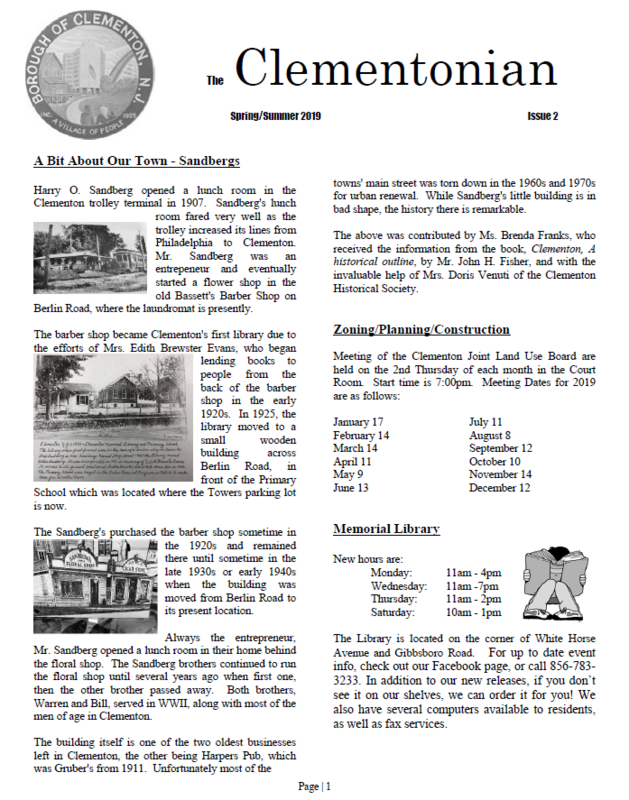 The Code of the Borough of Clementon is available online. Welcome to the official Borough of Clementon website. 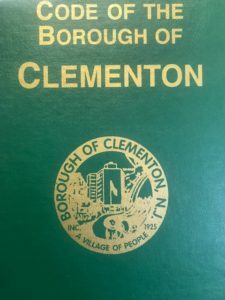 The Borough of Clementon is a thriving community of about 5,000 people across 2 square miles surrounding Clementon Lake in the heart of Camden County, New Jersey. Must show New Jersey State ID with address at Group Gate Entrance to enter the Park. PLUS-Upgrade to a GOld Pass for $34.99 and get a bonus “Bring a Friend” Free ticket. *Must show valid NJ State ID at time of purchase to receive special wristband price. Wristbands will be required for admission to theme park rides and to access Splash World. Gold Pass Upgrades can only be purchased inside the Park at Guest Services and must be processed on 5/18/19 to receive Bonus Bring-a-Friend Free Ticket. Discount Upgrade Price valid with wristband only; guests without wristbands can upgrade to a GOld Pass for $39.99. Prices plus NJ Sales Tax. Limited rides and attractions will be available. Offers valid on Saturday, May 18, 2019 only. Rain Date will not be scheduled. Attention Residents and Real Estate Brokers: All single station smoke alarms shall require Ten Year Sealed Battery Smoke Alarm EFFECTIVE 01/01/2019. The Next Regularly Scheduled Meeting of the Mayor and Council will be held on Tuesday, February 5, 2019 at 7:00PM at 101 Gibbsboro Road, Clementon, New Jersey. WE HOPE THAT THE EXTENDED EARLY AND LATER EVENING HOURS WILL BENEFIT OUR WORKING RESIDENTS WHO ARE UNABLE TO VISIT THE OFFICES DURING THE NORMAL HOURS OF OPERATION. Special Events Committee meetings are held on the third Tuesday of each month at 6pm in the courtroom at Borough Hall. CYAA Meetings are held the first Thursday of each month at 7PM at Carver Field Clubhouse. Shade Tree Commission Meetings are held on the Third Thursday of each month at the Borough Small Community Center at 7:30PM. Senior Affairs Committee Meetings are held on the Third Thursday of each month from 6:00PM - 8:00PM at the John Lesher Senior Center. *Event times will be updated as our planning continues for the year. Events will take place in the Fire Hall unless otherwise noted. The Committee meets monthly on the third Tuesday of each month at 6pm in the courtroom.